CIFNET 2019: CIFNET has released its application form on its official website. Read the following article to fetch further details about the same. Central Institute of Fisheries, Nautical and Engineering Training (CIFNET) offers admission to the candidates in the provided courses. In order to get admission in the courses, the candidates have to fill in the application form which has been made available online on the official website of the university. The candidates, who cannot fill the form online can avail the facility of offline application too. In order to fill the online form, the candidates need to visit the official website first, i.e., cifnet.nic.in. After that, the aspirants need to navigate for the link of the application form. Clicking on the link will lead the candidates to the application form in which, the aspirants need to provide the required details. The candidates should make sure that the information that they are providing in the application form is absolutely correct. Providing any wrong information can create problems for the candidates in the future which can also result in the cancellation of the candidature of the candidate. Before filling the application form, the aspirants should check the eligibility criteria. If the candidate fails to possess enough eligibility for the course they aspire for, then they cannot fill the application form. It is to be noted by the candidate that the procedure of submitting the application form will be considered complete only when the fee is paid by the candidate before the deadline. If one fails to pay the fee before the deadline, then one’s candidature will be cancelled. New: The Application Form of CIFNET 2019 have been released. 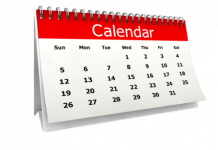 The candidates have to keep a tab on the important dates of CIFNET 2019. The official dates have been released by the authority. Lay your sight upon the following tabular format to learn about the same. The candidate should have passed 12th from a recognized board with an aggregate minimum of 50% in English, Maths and other Science Subjects. There is no minimum percentage for SC applicants. The candidates, who are appearing in their qualifying exam can also apply for CIFNET 2019. Must be minimum of 17 years and maximum of 20 years as on 1st October 2019. The candidates must have passed in 10th with minimum of 40% in Science and Maths individually. The candidates, appearing in their qualifying exam can also apply. Must be of minimum 16 years and a maximum of 20 years as on 1st August 2019. The application form of CIFNET 2019 has been made available online on the official website of the university. The last date to fill the same for both the courses is different. The candidate will have to submit the application form through offline mode only. The candidates, who sit in the CIFNET entrance test 2019 will be able to get admission under Bachelor’s of Fishery Science (Nautical Science) and Marine Fitter Course. The candidates, in order to fill the application form, have to visit the official website first, and then click on the given link of the application form. After that, the screen will display the application form, which the candidate needs to download the application form. The application form has to be filled with correct details and should be sent to the prescribed address of the authority. The application form should be attached to certain documents. The candidate should note that the application form will be submitted only when the fee is paid by the candidate before the deadline. If the candidate fails to pay the fee before the deadline, then his/her application form will be rejected leading to the cancellation of the candidature of the candidate. Before filling the application form, the eligibility criteria must be checked by the candidate because any ineligible candidate cannot fill the application form. The admit card of CIFNET 2019 will be released online on the official website of the university tentatively in the month of June 2019. The candidates, in order to download the CIFNET Admit Card, have to visit the official website of the university first and then click on the given link of the admit card. After that, the candidate has to fill in the important credentials in the given blanks which will take the candidate to his/her admit card. It is to be made sure by the candidate that the information they are providing for the admit card is correct as per his/her registration details. Filling of any incorrect detail can lead to stopping the candidate from accessing his/her admit card. After downloading the admit card, the candidate has to go through his/her details carefully and make sure that each and every detail mentioned in the admit card is absolutely correct. In case of any discrepancy, the candidate must contact the examination authorities. It is mandatory for the candidate to bring the admit card along with him/her to the allotted centres. If the candidate fails to bring the same, then he/she will not be allowed to sit in the entrance exam. The result of CIFNET 2019 will be made available on the official website of CIFNET tentatively in the last week of June for both the courses. 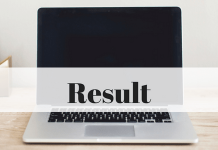 In order to download the CIFNET Result 2019, the candidates need to visit the official website of the university and then click on the given link of the result. After that, the candidates need to fill in the required details in the given blanks. The screen will display the result of the respective candidate which he/she needs to take a print of. The merit list of CIFNET 2019 will be released online on the official website of the university. The candidates, in order to download the merit list, have to visit the official website first, and then click on the given link of merit list. After that, the candidate has to check his/her name in the merit list according to his/her roll number. After that, the candidate has to print 1 copy of the merit list for future purposes. The table below mentions the number of seat intake in CINFET 2019. In the table, all the data provided is according to the last year and any changes made will be provided accordingly. After conducting the exams, the university will conduct the counselling session. It is mandatory for the candidates, who have cleared the entrance exam, to attend the counselling session. If they fail to attend the counselling session, then they will not be allowed to take admission in any college in any course provided. The candidates have to bring some documents along with them to the allotted counselling centres. If the candidate fails to do so, then he/she will not be allowed to attend the counselling session.